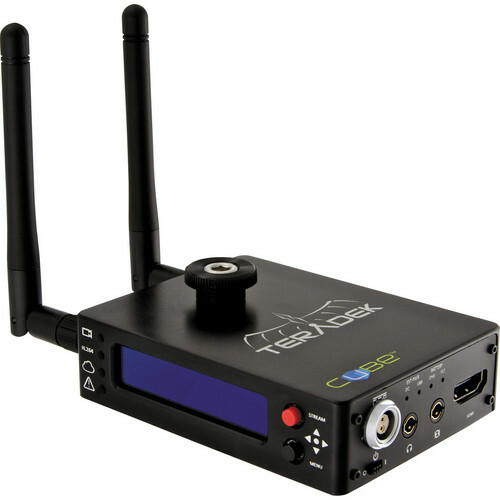 The Teradek Cube 255 HDMI Encoder with Wi-Fi is a wireless camera-top video and embedded audio encoder. 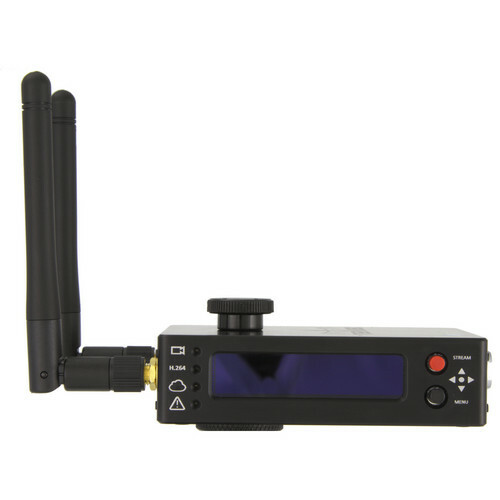 It connects to a camera via HDMI and streams proxy files/dailies in H.264 to a decoder or website. You can stream by dual-band Wi-Fi wherever a network is available, by Ethernet via an optional router, or by an optional 3G/4G modem connection. You can also store the files to a microSD card as the Cube features a microSD slot with support for up to 32GB cards. For mounting, the Cube attaches either to a camera's hot shoe or a cage/rig via an included 1/4"-20 mounting screw. 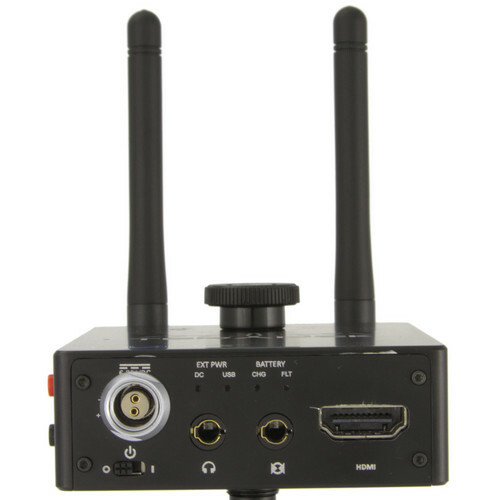 Aside from the HDMI input, connections consist of an Ethernet port, a 3.5mm line/mic input, and a headphone jack. A micro-USB slot is available for charging and configuring. The Teradek Cube has a rechargeable internal lithium-ion battery that lasts up to two hours. It can also be powered with the included AC power adapter or by an external battery via a 2-pin LEMO input. An OLED screen indicates the remaining battery life, online status, and the URL being streamed to. Optionally, Teradek offers camera batteries with 2-pin LEMO output so you can easily power both the camera and Teradek with the same battery. The following three 2-pin LEMO batteries can be used for power: the Teradek Canon BP-945, Teradek Panasonic D54, and the Teradek Panasonic VW-VGB6.